iBarnes Non Profit Organization 10th Annual Toy Distribution! All proceeds collected from this fundraiser will assist with our 10th Annual Toy Distribution at The Pontchartrain Center! The toy distribution date is Wednesday, December 14, 2016 at 5:00 p.m. CST. All funds raised will go directly to Ibarnes . iBarnes Non-Profit Organization is dedicated to providing child and family services to people who are faced with existing adversity. It accomplishes this by providing a forum for education, and coordinating events that give inspiration and encouragement. We offer opportunities to increase public awareness and education through our educational programs, in addition to charitable events. 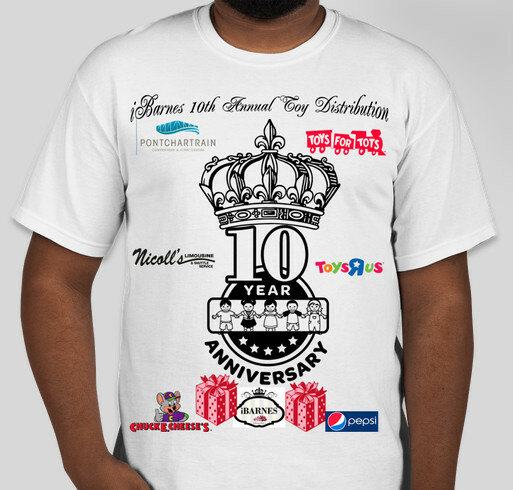 Share Why You Support "iBarnes Non Profit Organization 10th Annual Toy Distribution!"